Harvard University Press, 9780674729681, 368pp. The wave of liberalization that swept world markets in the 1980s and 90s altered the ways that governments manage their economies. Reinventing State Capitalism analyzes the rise of new species of state capitalism in which governments interact with private investors either as majority or minority shareholders in publicly-traded corporations or as financial backers of purely private firms (the so-called "national champions"). 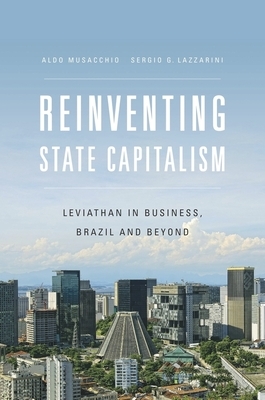 Focusing on a detailed quantitative assessment of Brazil's economic performance from 1976 to 2009, Aldo Musacchio and Sergio Lazzarini examine how these models of state capitalism influence corporate investment and performance. According to one model, the state acts as a majority investor, granting the state-owned enterprise (SOE) financial autonomy and allowing professional management. This form, the authors argue, has reduced many agency problems commonly faced by state ownership. According to another hybrid model, the state uses sovereign wealth funds, holding companies, and development banks to acquire a small share of equity ownership in a corporation, thereby potentially alleviating capital constraints and leveraging latent capabilities. Both models have benefits and costs. Yet neither model has entirely eliminated the temptation of governments to intervene in the operation of natural resource industries and other large strategic enterprises. Nevertheless, the longstanding debate over whether private ownership is superior or inferior to state capitalism has become irrelevant, Musacchio and Lazzarini conclude. Private ownership is now mingled with state capital on a global scale.